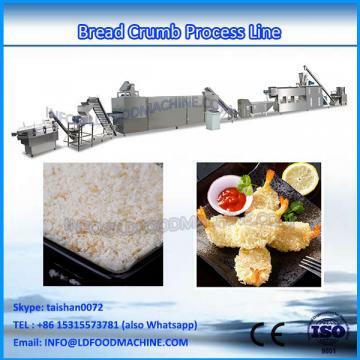 Bread crumb is a widely used food additive for deep fried food, and mainly for frying food surface, such as: fried chicken, fish, seafood (shrimp), chicken, chicken wings, onion rings, etc. Its feature is crispy soft, tasty, delicious and nutritious. 2. 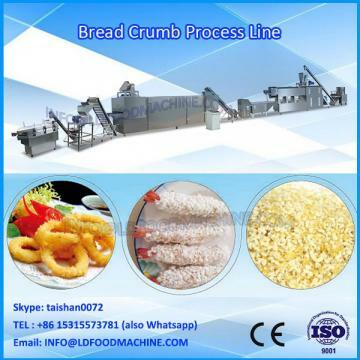 Products of bread crumb making machine are different shapes of bread crumb. 3.Function of bread crumb making machine: bread crumb can be produced by controlling the high temperature and high pressure. 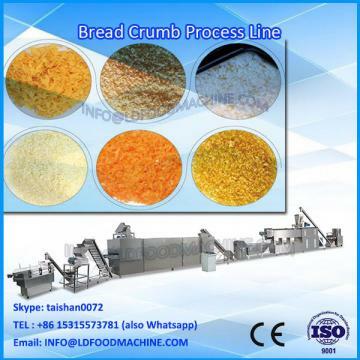 Bread crumb making machine adopts corn flour, rice powder, wheat flour as main raw materials. 5. Output can be 100kg/h-150kg/h, 200kg/h-260kg/h, 300kg/h-500kg/h and so on. Jinan Sunward Machinery Co., Ltd is an industry and trade integrated enterprise. The company is committed to R & D extrusion machinery and related ancillary equipments. It is covering mainly machinery and equipment for corn meal milling system, corn flakes/breakfast cereal system, baby food system, corn puff snacks system, pellets system, artificial rice system,soy nuggets system; as well as pet food/fish food system. 1. Oversea install and debug the equipment. 2. Train the first-line operator. 3. Provide the basic formula. 4. Operation/ Service/ Maintenance Manual: Provided In English.